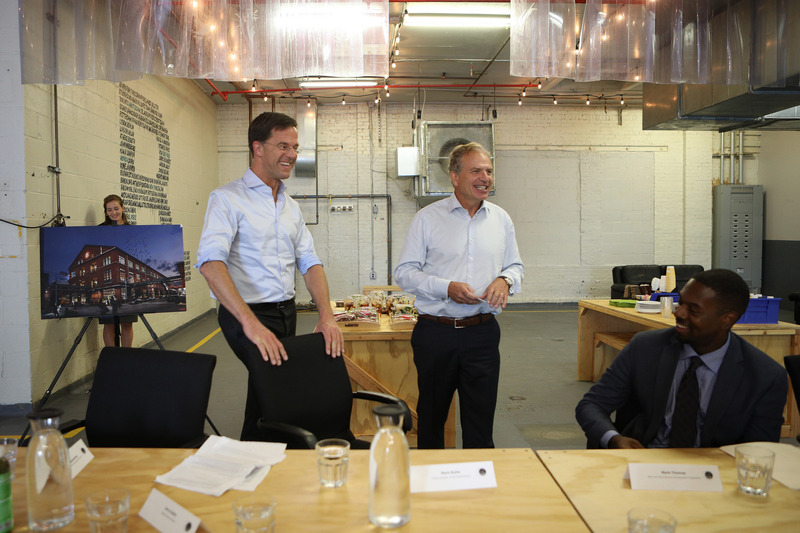 Prime Minister Mark Rutte and Consul General Dolph Hogewoning at the opening of the Partners for International Business (PIB) Halve Maen partnership at the Brooklyn Navy Yard on Sept. 21, 2017. Photo: Chantal Heijnen. Yesterday, Dutch Prime Minister Mark Rutte officially opened the PIB Halve Maen by projecting the new logo in the temporary space of B.NewYorkCity in the Brooklyn Navy Yard. In attendance were US partners from the Brooklyn Navy Yard, New York City Economic Development Cooperation and Smart Cities NYC Conference and key members of Dutch startups such as Appical, Innovation Booster, Mr. Prezident and Revimedia. During a roundtable session, ideas, aspirations and experiences were shared with the Prime Minister about the mentor network, expansion of the startups to New York and the soft landing services entrepreneurs use. Furthermore, Rutte discussed developments in the smart cities sector, the ongoing partnerships with organizations in New York City, as well as the internationalization of B.Building Business. The Netherlands and New York share a more than 400-year-old relationship, which started when Henry Hudson sailed the “Halve Maen” (“Half Moon”) into New Amsterdam in 1609. With the PIB Halve Maen partnership one of the next chapters will be written of the shared history between the Netherlands and New York. The Halve Maen is a public-private initiative with the Consulate General of the Netherlands in New York that will serve as a one-stop resource center for soft-landing services for Dutch startups who want to launch their businesses in New York and the United States at large. New York has the largest concentration of B2B sales opportunities in the world. New York City is home to the world’s second largest venture capital industry. Both New York City and Amsterdam are recognized for their spirit of entrepreneurship and innovation. 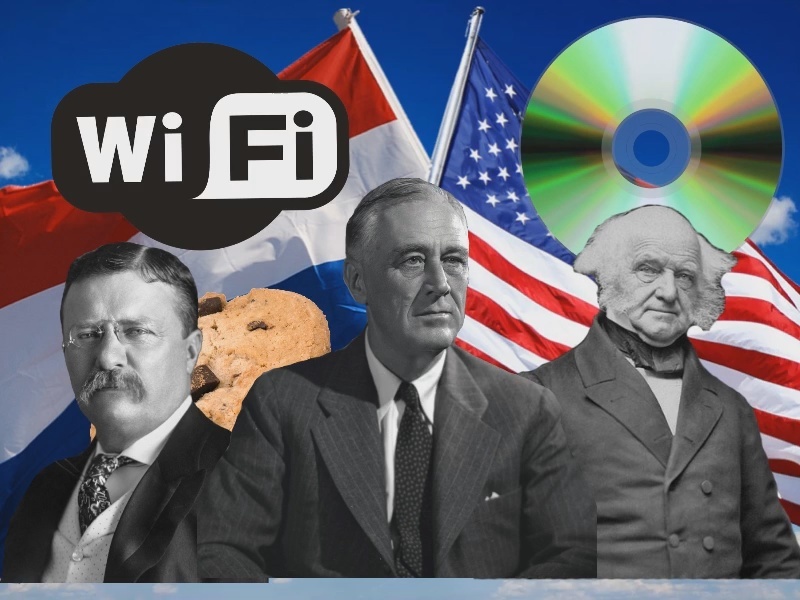 The Netherlands has contributed a large number of revolutionizing inventions throughout the centuries. The Dutch solution-driven approach and can-do mentality make it a perfect partner for New York for innovations in the startup sector. 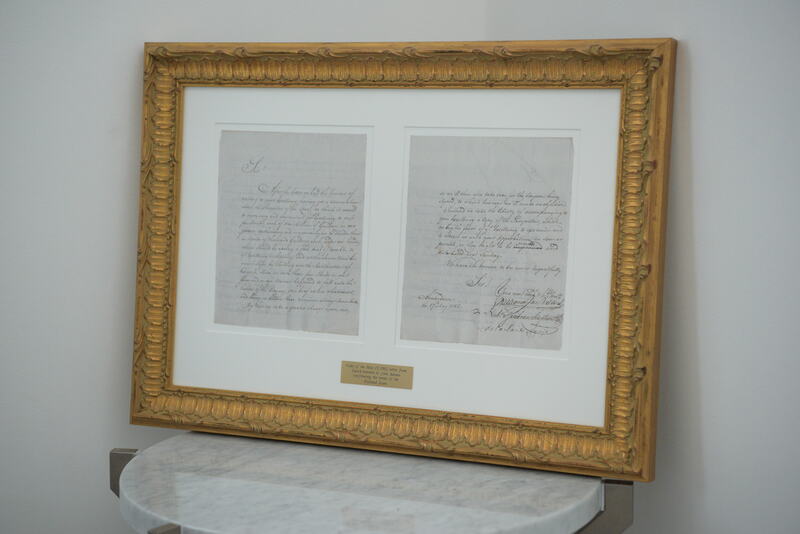 This three-year public-private partnership is led by the Netherlands Consulate General in New York and B. Building Business, a startup ecosystem hub that launched in Amsterdam in 2014. The PIB Halve Maen focuses on providing information for technology and creative industry startups with the services they need to thrive in the United States. “The PIB Halve Maen will allow Dutch startups to scale faster and also be more cost efficient. The New York market offers challenges and opportunities,” said Prime Minister Mark Rutte. “We want to ensure that these innovative startups can succeed, and one critical way to do that is to integrate Dutch and New York startup ecosystems. To paraphrase the song, ‘If they can make it there, they will make it anywhere,’” added the Prime Minister. For information about the PIB Halve Maen, email Julia Knoeff at the Consulate General in New York or visit halvemaen.co.